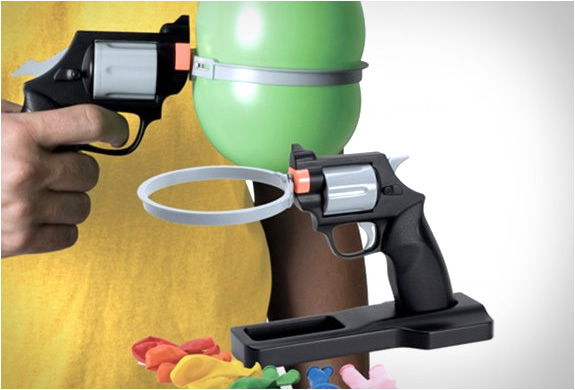 Russian Roulette is a potentially lethal game of chance in which a player places a single round in a revolver, spins the cylinder, places the muzzle against his or her head, and pulls the trigger. 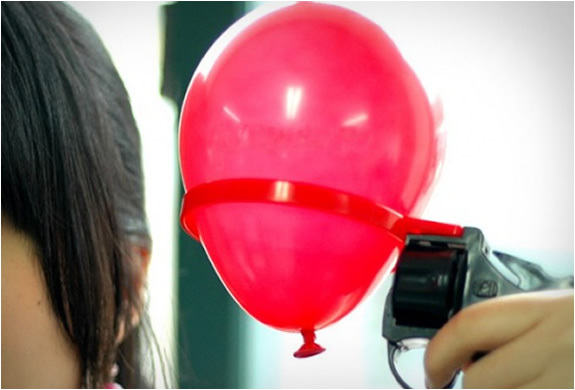 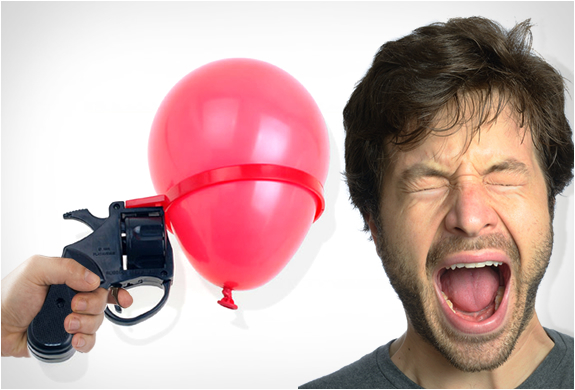 The Water Balloon Russian Roulette is harmless, but you have a good chance of getting wet! 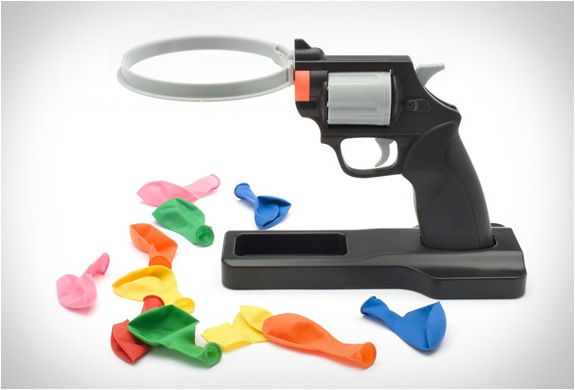 An ideal party game for any occasion, it will create laughter all over the room. 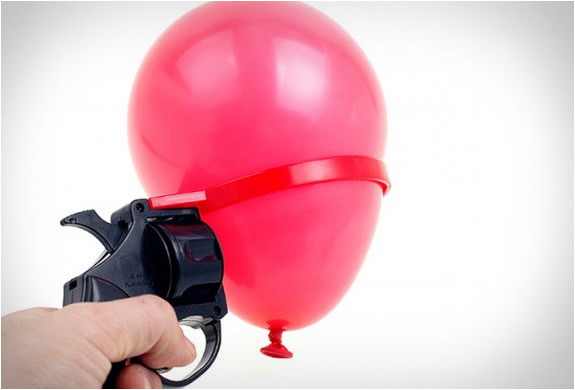 If you want to get things really messy, fill the balloon with whipped cream or chocolate sauce!